Do you wanna watch your favorite 3D movies on Gear VR? With the hotter and hotter popularity of 3D movies, we all would like to enjoy the amazing 3D effects. While with the Gear VR limited formats, we here are going to teach you how to make all 3D videos accepted by Gear TV. With some easy steps, we can watch all 3D movies on Gear VR. The Samsung Gear VR has plenty of potential, but it is limited by a sparse content store out of the box. The positive is that Samsung and Oculus have made it easy to import and watch your own movies (even 3D) in virtual cinema mode. So how do we accomplish this? The short answer is to import your movie files (the Gear VR by default supports most common file formats including MP4, AVI, and FLV) into the “My Videos” folder on your SD card. 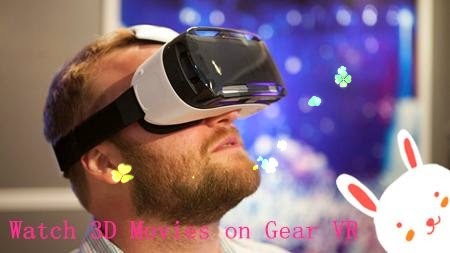 So here the trouble comes, how could we add those incompatible 3D movies to Gear VR for playback? Step 2. Choose the suitable output format. If you just wanna rip the 3D movie files to your Gear VR, you can choose the “3D Video > MP4 Side-by-Side 3D Video(*.mp4)”. For more choices, we can just drop down the list and find more items there. Step 3. Adjust conversion specs and 3D effect (Optional). 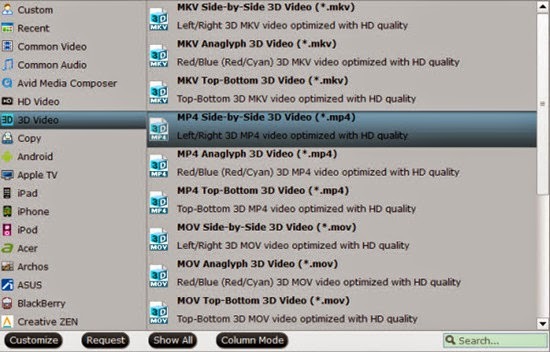 Adjust the video and audio parameters including the Bitrate of Video&Audio, Video Size, Sample Rate, Frame Rate, Audio Channels, etc., by clicking the “Settings” button on the main interface for getting the best quality. How to Add VOB to iTunes on Mac?